launch x431 crp429c support Multilingual. launchcrp 429 obd2 scanner supports the system diagnosis of ABS, SRS, ENG and AT system. 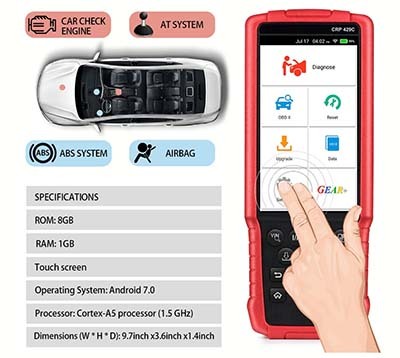 x431 crp 429 Diagnostic Tool can update it online. 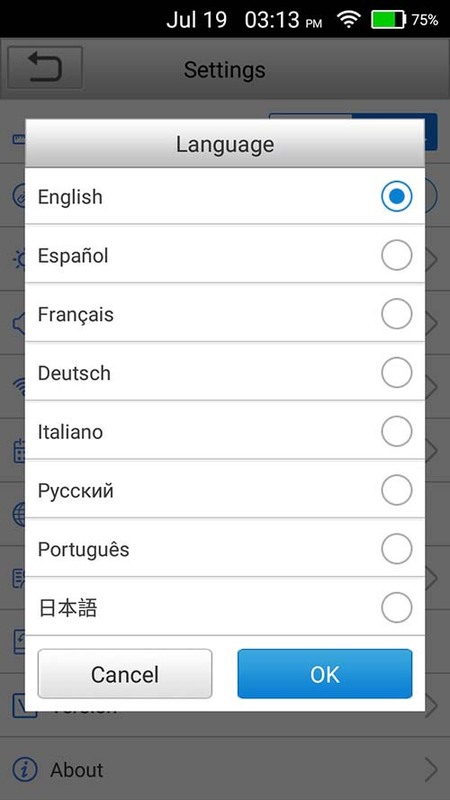 Multilingual Support: English, French, Spanish, Russian, Japanese, German, Italian, Portuguese. 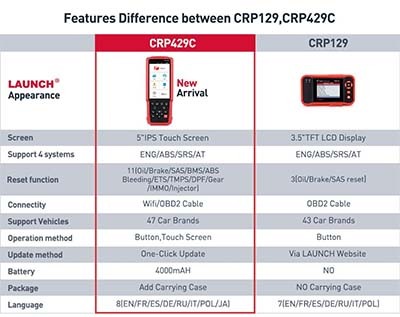 CRP 429C supports all 10 models of OBDII test for a complete diagnosis. CRP 429C also supports the system diagnosis of ABS, SRS, ENG and AT system, and supports 11 reset functions. Manual Diagnosis: If Auto-Detect failure occurs, manual diagnosis is also available. Diagnosis functions include: Version Information, Read DTCs ,Clear DTCs and Read Data Stream (supports 3 dispiay modes: Value, Graph and Merged). OBDII/EOBD_ Diagnosis: 10 modes of OBD II test are supported, including EVAP. O2 Sensor, l/M Readiness, MIL Status, VIN Info. and On-board monitors testing etc. Remote_ Diagnosis_ (optional: This option aims to help repair shops or technicians launch instant messaging and remote diagnosis, making there pair job getting fixed faster. Reset: Frequently used maintenance and reset items including Oil Lamp Reset, Brake Pad Reset, TPMS Reset, Battery Matching, Injector Programming, Throttle Adaptation, DPF Reset, Gear Learning, Steering Angle Reset, ABS Brake Bleeding and Anti-Theft Matching can be done. 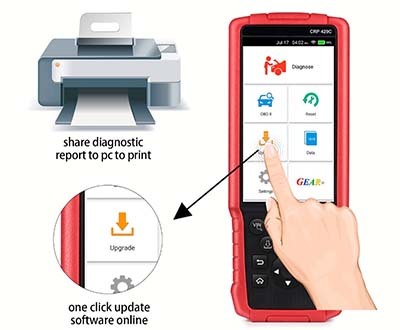 One-click Update: Let you update your diagnostic software and APK online.Diagnostic_ History: This function provides a quick access to the tested vehicles and users can choose to view the test report or resume from the last operation, without the necessity of starting from scratch. 4. Basic diagnostic functions: Version Information, Read DTCs ,Clear DTCs and Read Data Stream (supports 3 dispiay modes: Value, Graph and Merged). 8. Multiple car models (covering over 40 prevailing models from Asia, America and Europe).